Center trade winds whisper through the palms. Hibiscus and Bougainvillea mingle with the salty breeze. Sweet Leilani, so lovely, so sad. The Ford Island Ferry chugs slowly across the harbor. An orchid lei rides the wake. An unseen hand touches my shoulder. 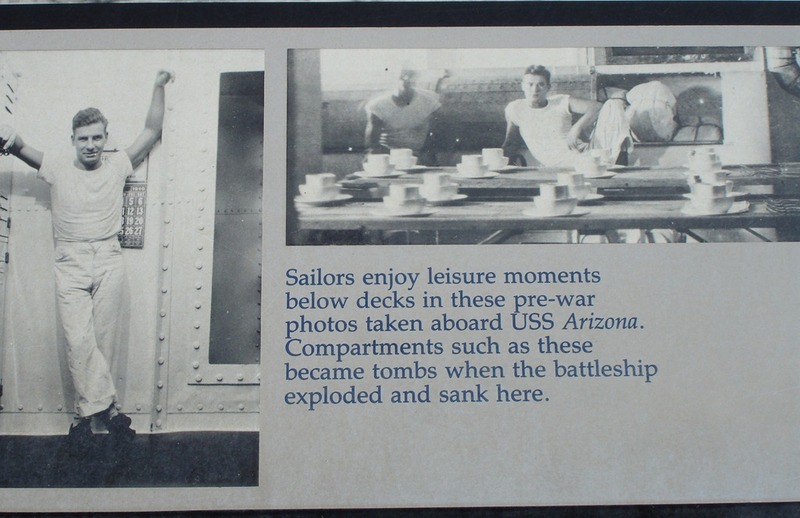 My mother’s cousin was on the Arizona when it sunk. Entombed!